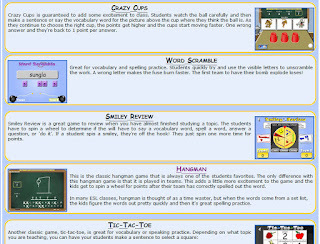 Increase or review vocabulary with these team-based game activities from BarryFUNEnglish. 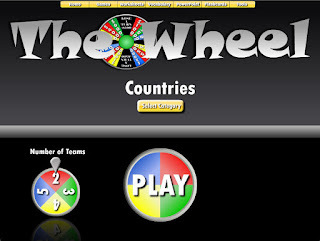 Choose from games like The Wheel (based on Wheel of Fortune), Battleship, Word Scramble, Card Match, Englishopoly and more! The games are already pre-loaded with words in many categories such as: adjectives, American holidays, animals, colors, countries, food, months and seasons, musical instruments, prepositions, sports, and weather.